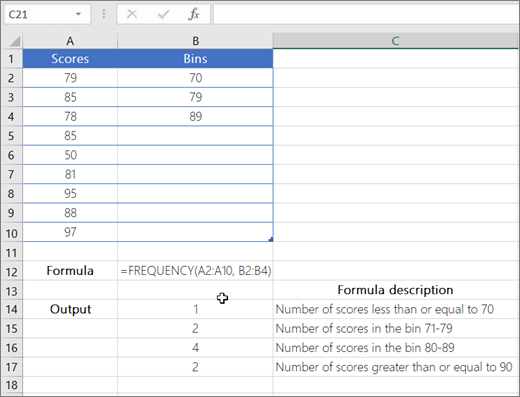 This article describes the formula syntax and usage of the FREQUENCY function in Microsoft Excel. You must enter the above formula as an array formula in Excel for it to work correctly. After you enter the formula, press Enter if you have a current Office 365 subscription; otherwise press Ctrl+Shift+Enter.